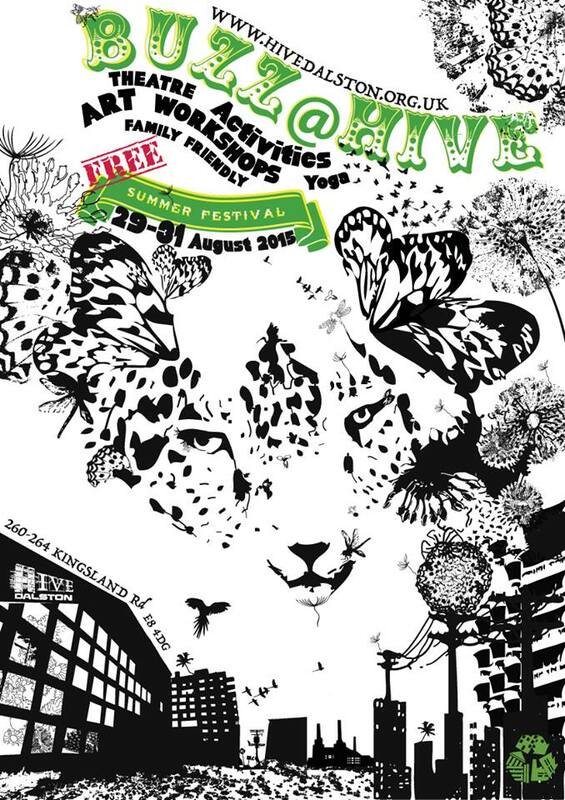 The Hive invites you all to join us for a bank holiday weekend of arts, activities and music for all ages. All Welcome! Free entry! An end of Summer party for all those who are looking for something a bit more chilled out than the Carnival, and a bit cheaper than a week in Ibiza. With jugglers, artists, poets, musicians, workshops, yoga, creative writing, and the errection of a giant totem pole, Buzz! will delight, entertain and inform you whatever your age or interests. We will have live painting, creative activities and a juice, tea and cake cafe running throughout the weekend, check out the timetable below for the activities that will only happen once. Entry to Buzz is free and the Hive will provide as many free activities as possible. However please be warned that some of the spacific activites listed below may require a doation.